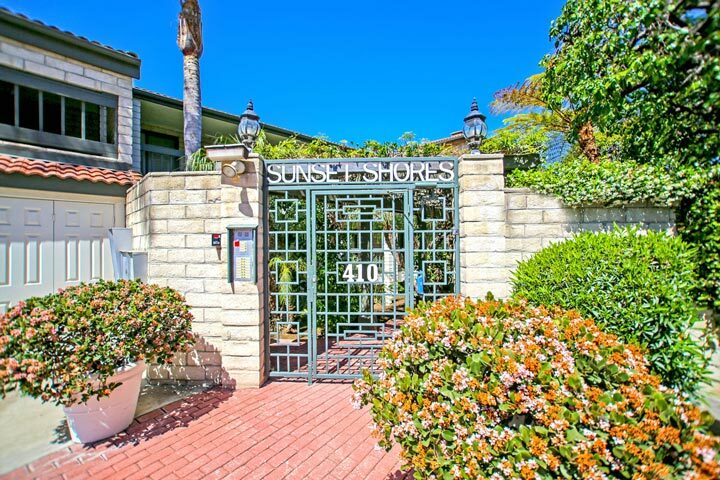 Sunset Shores is a beach front condo complex located in the San Clemente Pier bowl area of San Clemente, California. The complex at 410 Corto Lane, San Clemente sits on the bluff front with great ocean and Pier views. Condos rarely come on the market for sale here since there are only 18 units total in this building. 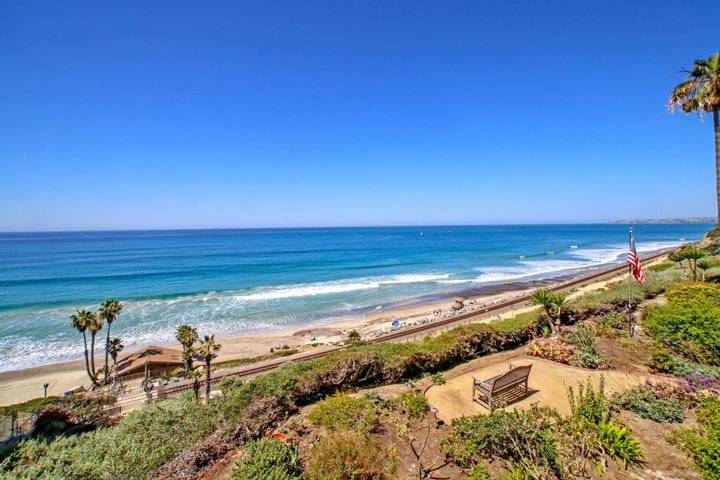 The location offers direct access to the beach and just steps to the San Clemente Pier. Please contact us at 888-990-7111 with questions regarding this complex and any of the unit available for sale here. The Sunset Shores is under a homeowners association with monthly dues required. This is a secure complex with a gated entrance and underground parking. The dues include use of the community pool which overlooks the ocean as well as provides for guest parking in front of the building. Below are the current ocean front condos for sale and for lease in Sunset Shores.